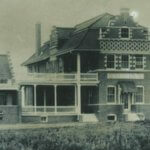 QuietWaters Ministries has roots that go back to the early 1900’s when Reverend Idzerd Van Dellen’s wife was faced with the medical crisis of tuberculosis. 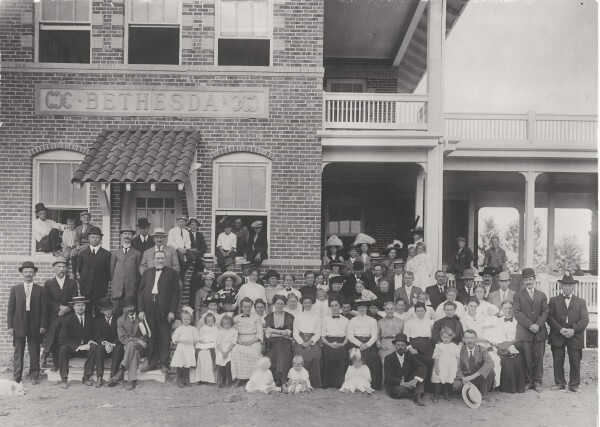 He searched for a way to address this devastating illness and in 1910, he founded Bethesda Sanatorium in Denver, Colorado. Over the next few decades, effective medicines made tuberculosis a disease of the past. In 1947, Bethesda Sanatorium became Bethesda Psychiatric Hospital and focused its new mission on the treatment of mental illness. In 1970, Bethesda’s Christian mental health services expanded to include pastors and missionaries with the opening of the “Pastoral Mental Health Clinic”. In the 1990’s the insurance industry went through some major changes. The newly-devised managed care payment method did not include institutions that focused solely on mental health, and Bethesda Hospital was forced to close in 1999. With the closing of the Hospital, the Board of Trustees of the Bethesda Foundation found themselves with resources and no mission. They were encouraged to move forward with a new direction when God placed it on their hearts to focus on the needs of Christian Leaders. The first efforts organized around educational conferences for pastors and their families. Soon the Bethesda Foundation was challenged to expand and provide additional services to pastors, other Christian leaders and their families. In 2000, after much prayer and planning, as well as an extensive study of the real challenges facing Christian leaders, the Board of Trustees voted to implement a program of Counseling Intensives to renew, restore and strengthen Christian leaders and their families. Further inspiration came from Psalm 23: “He leads me beside quiet waters. He restores my soul.” And so it was that in 2001, the Trustees and staff, with the help of advisors, created a new ministry plan with a new mission and a new name – QuietWaters Ministries. A team of licensed therapists developed the first Christ-centered program, the Leadership Counseling Intensive, offered in one or two week sessions in residence for Christian leaders in crisis. Launched in 2001, it remains the cornerstone of QuietWaters Ministries. In the beginning, QuietWaters Ministries’ “quiet place” was the home of a Denver physician and his wife. There, in a homelike retreat setting, the Leadership Counseling Intensives renewed, restored and strengthened hundreds of Christian leaders over the next nine years. Looking forward, a dedicated retreat center was deemed critical in order to meet growing challenges and opportunities. After a two-year search in a struggling economy, God provided a beautiful home southeast of Denver on three acres with a calming view of the Rocky Mountains. After much prayer, discussion, and research, the Board moved to take advantage of such a unique opportunity and purchased this ideal property at a drastically reduced price. The official opening was February 1, 2010. The surroundings of the Retreat House provide the ideal setting for processing all that takes place in restorative therapy. The Leadership Counseling Intensive creates a dynamic that makes real transformational growth possible in a Christian leader’s life. By God’s grace, this story of service will continue to be told so that Christian leaders who have been renewed, restored and strengthened can powerfully proclaim the Gospel Message in local churches and communities around the world.